If you have or plan to build a swimming pool, hot tub or spa on your San Diego county home, it’s important to understand that you will have to meet city or county barrier code as direct by basic California State requirements on Pool fencing and covers. Seems like a simple answer but the way a inspector see it is different. A swimming pool, hot tub or spa are all seen as the same. Size doesn’t matter. How to get a permit and dealing with a inspector. Call you city first and then the county if you are in a unincorporated area. Work with you inspector to see what part of the project may have issues. Don’t invest in something that wont pass. Ask the inspector first. The city of San Diego also requires pools to be enclosed for safety reasons. 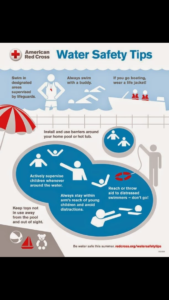 Every outdoor pool must be enclosed by a barrier that is at least 60″ above grade measured on the side of the barrier that faces away from the swimming pool. In an above ground pool, the barrier may be the pools structure itself, or mounted on top of the pool structure. Chain link or lattice fences are allowed only if the diamonds are slated or small gauge. Sliders need alarms, side garage doors and gates need to swing away from the pool. 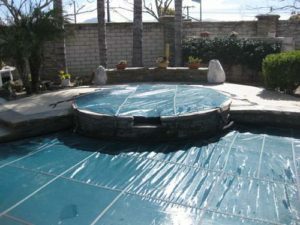 (1)”Approved safety pool cover” means a manually or power-operated safety pool cover that meets all of the performance standards of the American Society for Testing and Materials (ASTM), in compliance with standard F1346-91. (2) The pool shall incorporate removable mesh pool fencing that meets American Society for Testing and Materials (ASTM) Specifications F 2286 standards in conjunction with a gate that is self-closing and self-latching and can accommodate a key lockable device. San Diego Pool Guard can provide Removable-Swimming-Pool-Fencing meetings California state swimming pool barrier code. Leader in our industry serving all of the communities of San Diego, from Chula vista to Fallbrook as well as east SD El Cajon, Poway and Santee. Our pool-safety-barrier-fencing and child-proof patented self-closing, self-latching and key-lockable gates meet California State Laws for pool-fencing. We are one of the few Mesh removable Pool Fence companies in San Diego that can provide the inspector with ASTM F 2286 paper work. We also can provide Pool Safety Nets and covers to meet San Diego cover f1346-91 standards. Address your San Diego Swimming Pool Compliance needs by requesting a estimate.